Mister and I were rearranging our bedroom a few months ago. I was moving things from my side of the wall to its new home. I moved a word hanging that I keep out. The word is Joy. A friend had made it for me years ago when we had a small business (I think, I honestly can’t remember that far back! Ha!). I would say this was made about 5 or 6 years ago. It’s been packed from NC to TX and two moves since we’ve moved to TX. Anyway, when I moved the word a spider had come from behind it. The letters aren’t attached to each other like they were when it was new. Some of the red paper has come off. The green border doesn’t stick in some spots. 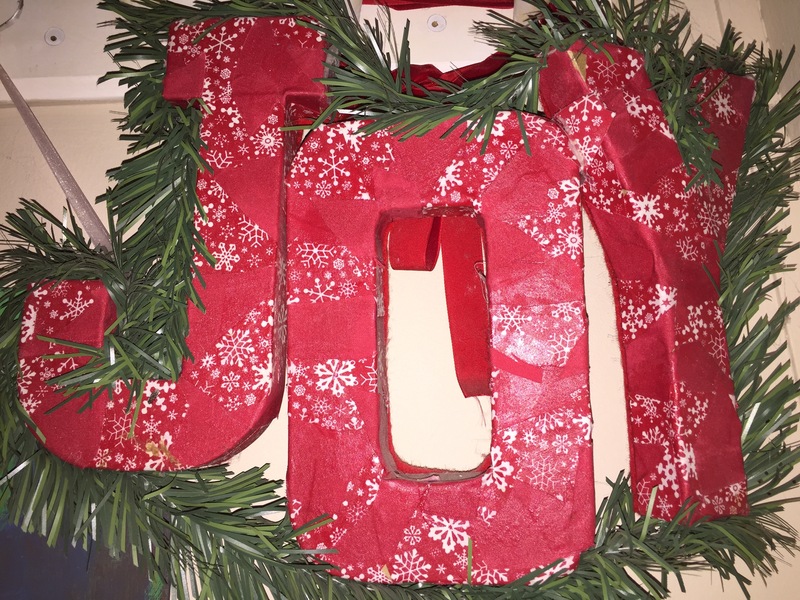 Our own joy can look just like the physical word JOY that hangs in my room. Torn, beaten, not brand new, a little nasty spilling out….not like it once was. Joy is something we choose not something that is given. No matter what is going on in your life, chose joy! There is always something to be thankful about, no matter how small. Our joy cannot be stolen unless we allow it to be. We’ll have hard days where that joy is hiding. Look for it. They’ll be days when we feel down & out that you think no one knows how you feel. Seek joy anyway. Satan will throw anything he can at you to steal your joy. Don’t let him. Don’t let him win. Let him know who’s boss…and it ain’t him! No matter what your joy as looked like before or how you think it’s supposed to look, grab your joy and run with it! Joy comes in all shapes, colors, and sizes…seek yours and never let go!